After a little time off to recuperate from life's wonderful way of keeping a human being down, we're back and introducing our first of three major characters. From conceptual art all the way to the final product. Indeed these are some nifty reveals but in a world of indie, we’ll need to excel in storytelling more so than big budget surprises. 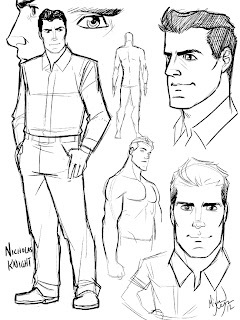 See Nicolas Knight aka 'X' after the jump. 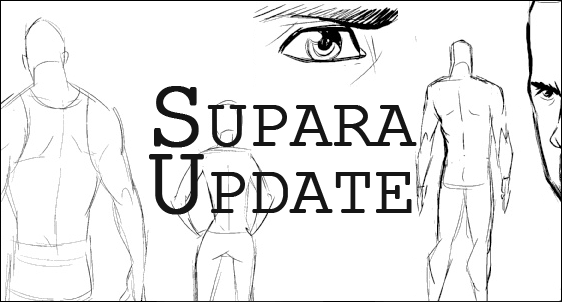 Now we're going to break down how he looks the same way we did it in Supara Update #3: The Foundation. I'll go a tad more in depth but overall... it's relatively the same. All artwork is courtesy of the talented Michael Mayne which you can find/follow him on devaintART, Blogspot, & Twitter. Bachelor’s & Medical Degree in Doctor of Medicine from the Skyward University where he also received his United States Medical Licensing Examination (USMLE) & American Board of Surgery (ABS). Trauma Surgeon at Valley Cross Hospital. 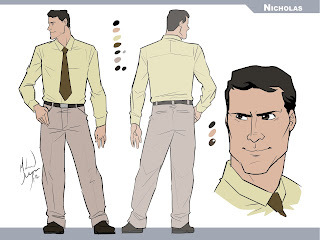 We went for more of a younger Jon Hamm from Mad Men for the civilian style concept of Nico. 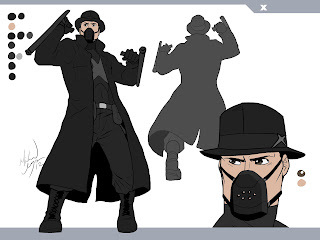 I appreciate different genres and from every era and I gravitated towards a more noir take on him. So yes, he does look like your well dressed white man and that's because he is. And come on... look at that full set of hair. Beautiful. PH Warrior - Using the tools he knows from his field; he can create and use various drug and chemical compounds to subdue and/or dismantle his enemies. Thai Fighter - X is also trained in the science of 8 limbs (Muay Thai) and is a graduate of Somchai Arts Academy after 6 years. Fistful - Some of his fighting technique is a combination of using tiny (nearly marble sized) glass balls filled with various toxins that can be thrown or used during hand to hand combat. Trusty Belt - He wields dual night sticks (tonfa) and carries handcuffs, smoke bombs, and goggles amongst other various simple gadgets. 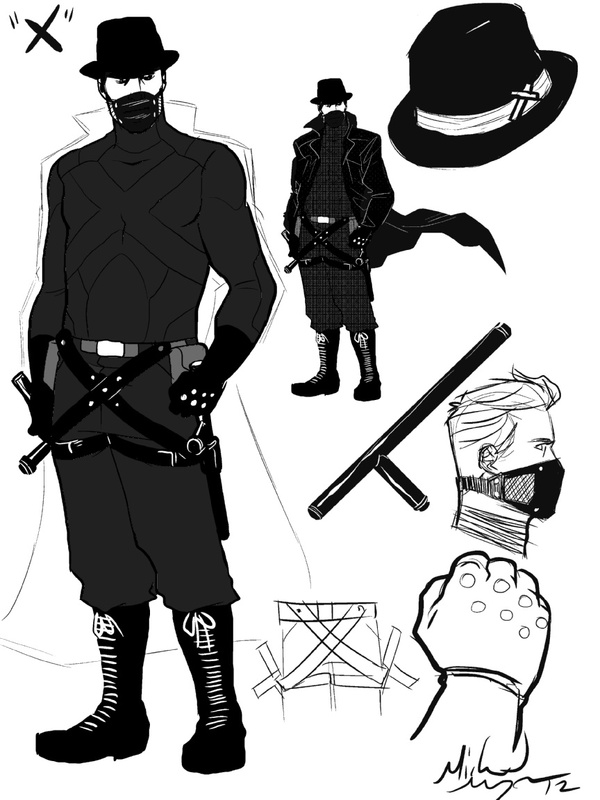 Here's an earlier conceptual sketch of Nico alter ego attire 'X'. Notice the detailing on his hat (sideways crucifix) and style of clothing overall. All of these elements play heavily into his plot. I know you must be getting a sense of Batman while looking at this but it evolves soon enough. Nicolas L. Knight is a well respected and brilliant trauma surgeon from Supara Valley, California following in his late father’s footsteps. Knight grew up an excited humanitarian working endlessly at free clinics and as a teacher’s assistant going through college. Even though he acquired his family's incredible amount of wealth; he felt he needed to be successful on his own. This led him to continue pursuing more opportunities to better his mind and body (Muay Thai), donate to various charities... he was a man who cared. On April 12th, 2013, that all changed. A catastrophic incident involving 'Powers' would divert his life forever. This creates the mystery we know as 'X', a man hellbent on revenge and blaming Powers for ruining his life. With this revision, you can really start to see the outfit taking shape. 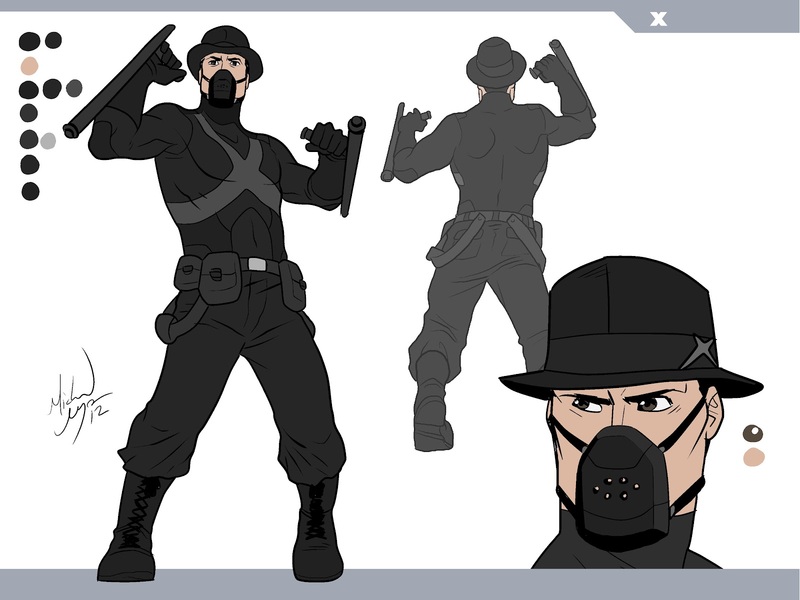 We went ahead and changed the full black outfit to something shaded to show off his under armor as well as the 'X' on his chest. Almost like a negative of Batman's suit. Another major change was the holsters for his night sticks. Before was more practical but we went a route that was little western. Doing this also brought in the pouches a little bit but I think it's a major improvement. He is a sort of heavyhearted, broken man… slowly losing himself, but endlessly attempts to keep his cool. When he dresses up as “X”, he transforms into a warrior forgetting and not wanting to be who he was. Doing this affects what little social life he has left along with his profession. Nico is and always will be a sharped dressed man... in this final attire, Mayne did a great job in exploited this man's charisma. We went with a little tone of clothing to represent how crisp he comes off. Though... you'll mostly see him in a coat... either the white or black one. Damn that hair. I want to be able to take this character to dark places… have him flash back to horrifying memories that he tries to drown with a hefty bottle of scotch. He’ll need to rediscover his humanity and help others. Hopefully he'll realize that if Powers use their abilities for good… a change can happen. These are the final product for 'X'. The first one is obviously his main outfit, but Mayne provided us with what he would look like underneath his coat. 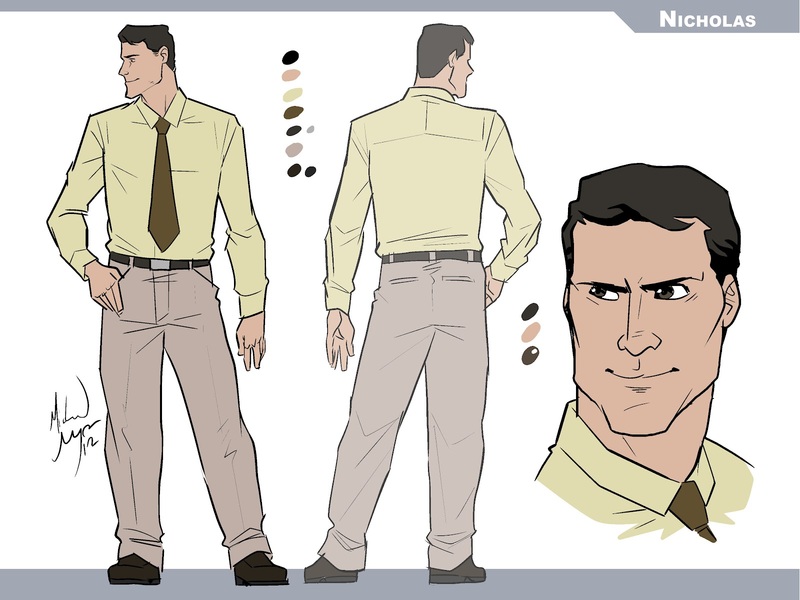 There was a lot of different influences that went into creating Nico/X, such as what you might have already guessed, Batman. There's a little Spirit in there, as well as Clint Eastwood's character from the "A Man With No Name" trilogy. That's all I got for now. Check back tomorrow for the first look at "Dario Rickman 'Warden"'. Once again, please check out more of Michael Mayne's work over at devaintART.